Jurassic City Trailer: Dinosaurs Invade Los Angeles! 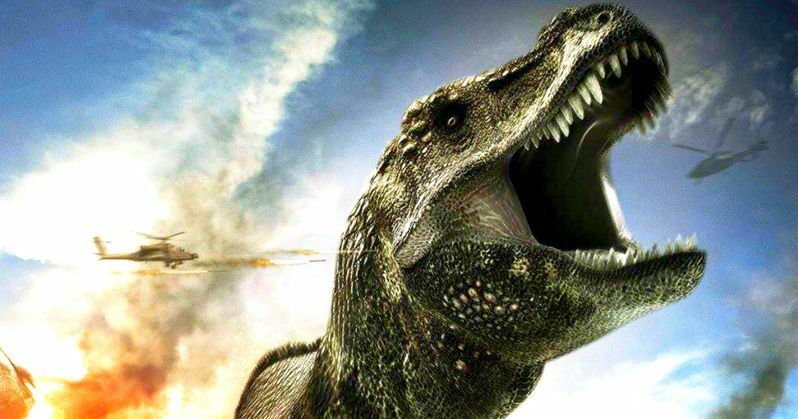 We have six long months to wait until Jurassic World hits theaters. If you're needing a dinosaur fix before that, the Vertical Entertainment knockoff Jurassic City has arrived to fill the void. It features plenty of giant reptiles stomping all over Los Angeles, something we won't see in Jurassic World. And it will be released as soon as February 3rd, arriving as an early Valentine to all you Mockbuster-loving schlock enthusists. Quite a few fans complained about the Jurassic World teaser trailer for a multitude of reasons. Will they be any happier with this blatant rip-off of the popular franchise? Who knows, this Drive-In worthy thriller might just prove to be better than the upcoming sequel...At least it looks like a lot of fun!